Rhythm Studio or Table Top? First things first, this is based on use with iPad. If you have an iPhone or iPod the decision is made for you. You already knew that right? Both apps are are modular workspace environments. Both work well on iPad. They look, sound, and feel similar. To the left we have Table Top. To the right obviously is Rhythm Studio. So I will try to focus on the most significant differences. Table top is a bit more developed at the moment with a bunch more features and functions. It has Audio Paste. It also offers more modules (15) right off the bat included in the basic starter set. Table Top offers more additional modules via In App Purchase. At first the FX were horribly over priced at $4.99 each! Ouch, that’s gonna add up fast. However they lowered the FX IAP prices to $.99 for the time being. The other IAP mods range from $2.99 to $9.99 with more promised to be added. Rhythm Studio at the moment is $.99, has 5 modules (counting the FX and mixer as one mod), no ACP support right now, but it is coming. Similarly lots more modules promised, but the similarity ends here in that they will all be for FREE in future updates. I found both to have nice audio quality, easy to use and understand. Both really captured the 80s nostalgic feel excellently. I say if you’re on the fence trying to decide which is best for you, ask yourself this. Will either replace my existing iOS music “studio” set up or collection of apps? Do either do anything I cannot already do, or better? If you answer honestly NO, then why are you even still reading? If you come back with a YES to those questions then proceed to the next questions. How much am I willing to commit financially? Am I OK with the future of IAPs to further my virtual modular workspace as new mods are added? Did you answer YES to both? Congrats you chose Table Top. Did you answer NO? Congratulations you just chose Rhythm Studio. 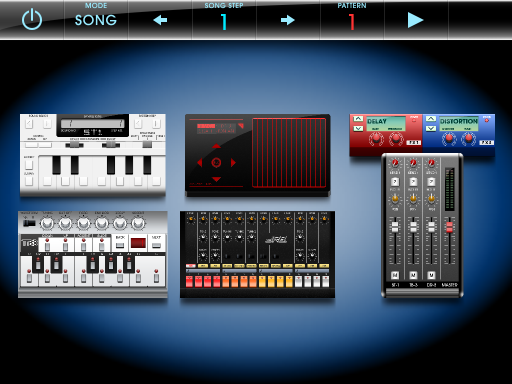 Either way you’re getting something pretty cool for making iOS music, if you are going for that 80s feel. You can win a copy of Mixtikl, celebrating my 5000th visitor here! I am very close to seeing my visitor ticker hit 5000! For me, this is a big milestone, and it couldn’t happen without visitors like you, amazing music app developers, The kindness of other bloggers, and fans of my music showing their support. Thank you all for the many comments, and emails. To celebrate my 5000th visit, my friends at Intermorphic LTD have offered to provide 2 copies of their great app Mixtikl-Generative Music Lab,12 Track Mixer as a prize! To WIN all you have to do is be one of the first TWO lucky visitors closest to 5000+ to kindly comment on this posting. 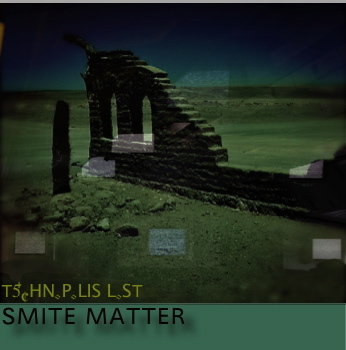 Then email me (SmiteMatter@comcast.net) and provide a return email address, and the country you are living in. I will verify the timing, and then notify the winners by email. Intermorphic LTD will email the winners directly with a promo code. 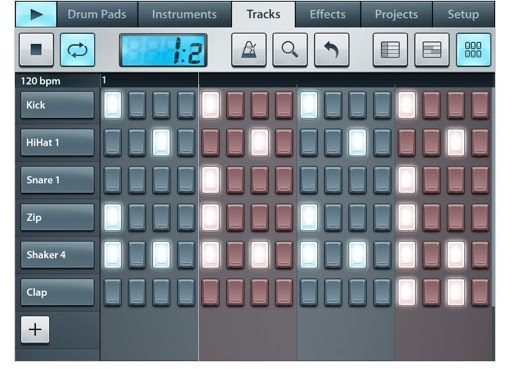 Taking waveform editing to a new level. 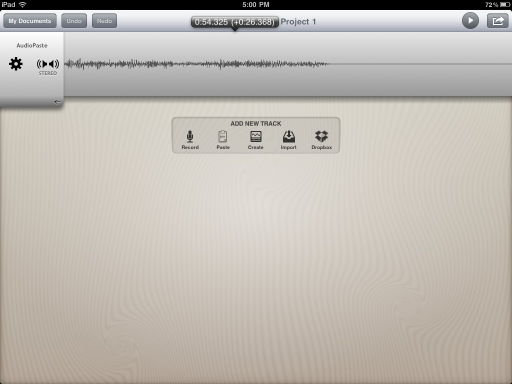 I have used many audio editors of excellent quality, design, and packed with useful tools. Hokusai Audio Editor with the Complete Pro Pack has just raised the bar. 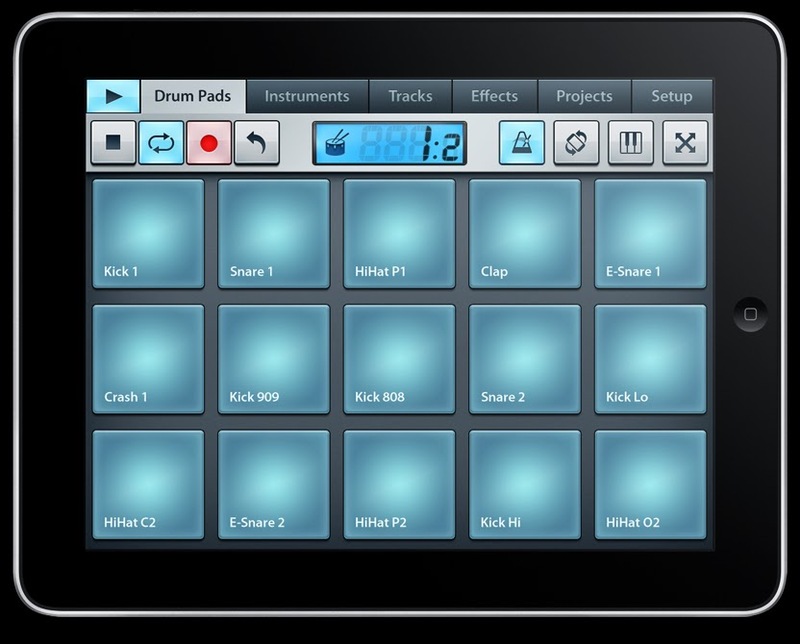 The amount of available tools and FX is loaded with an astonishing selection. Some might think $9.99 might be an expensive upgrade but I’m here to tell you after much use, experience, and detailed communications with the developer that it’s a fantastic bargain! I’ll get to the details of these amazing tools and how it all works, but first I want to share some very useful and important information I have gathered from lead developer Canis, at Wooji Juice regarding audio clipping. I saw some users complain about hearing some “clicks, pops, or crackles” while editing and then playing back their files in Hokusai. This was especially noticeable when applying FX, and normalizing. I also noticed the same concerns myself. So I emailed Wooji, and received some detailed info on what most likely was happening. “If you normalise to 100%, then apply reverb, and echo, then since the sound started at 100% and you’ve now applied (for example) 10% echo, the sound is at 110% and you’ll clip the limits of the iPad hardware. After reading his reply I went back and played with Hokusai some more, but this time went on to copy the edited file, and then paste into my other app where I was mixing my project. No clipping was heard. A little side techie note on audio copy in general, it’s 16bit signed integer audio format, and Hokusai uses a much higher quality 32 bit floating point format. Back on topic, Hokusai has a very uncluttered, pleasantly minimal design and work area. It might be so uncluttered compared to other editor apps, that it could be momentarily unsettling in that most menus, options, and tools are not in your face and obvious. They are however all there and easily accessible by touch. It won’t take long to really appreciate this design, and maybe become a little spoiled by it. Having a multi track editor with (mostly) everything visible side by side on screen is a smooth and streamlined delight. It’s all manipulated by familiar touch gestures that are instinctive to most iPad users. Selecting the areas of the file to work with is just like copying text in emails or notepads. 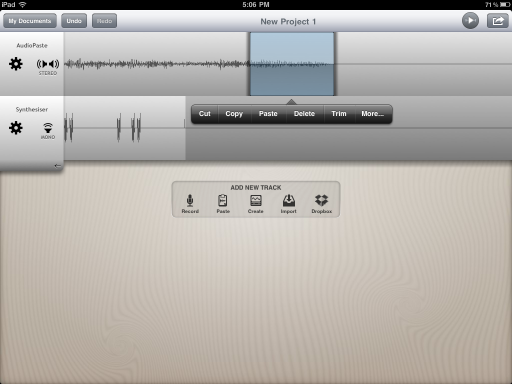 Touch with a long hold, and swipe back and forth to highlight the parts you want to edit. Tap the highlighted area once to see a pop up of your various options, including the suite (All found by touching the “More” button on the right of the pop up bar) of FX and various tools. As you drag you finger over a waveform you can hear the sound under your fingertip. This live scrubbing is quite useful and helps with an audible cue of exactly where your finger is in relation to the waveform including a minutes and seconds timeline relating to where you are touching the file, and or what portion is highlighted for editing. I only wish the timeline would run during playback, without having to touch anything. Cut, copy, paste, crop, slice etc, multiple tracks of files all on screen, and mix, match, and create whatever you can imagine. Bring in files from other apps with pasteboard support is easy, and always welcome. You really cant fully appreciate this app with using just the free starter kit. The tools available in the (via IAP) Complete Pro Pack are what makes this editor shine brightest. Hokusai has everything I want and need to edit, and apply high quality FX to my projects. There are too many to list here, but I’ll run down some of my most used and desired FX. There are 2 types of reverb to choose from, one is a basic Reverb, the other is more advanced with deeper adjustability. 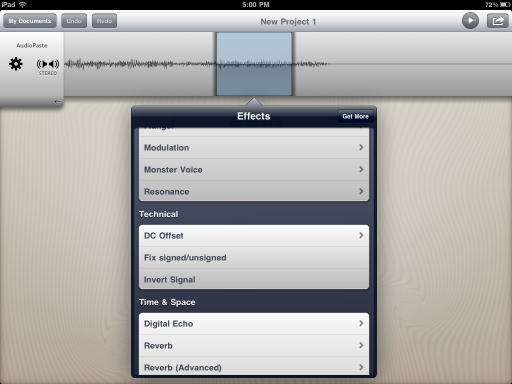 Chorus, Digital Echo (delay), Flanger, Bit Crusher, and Gramophone….the list goes on, check out the full Hokusai Audio Editor app description in iTunes. Purchasing the upgrade also removes those pesky ads. 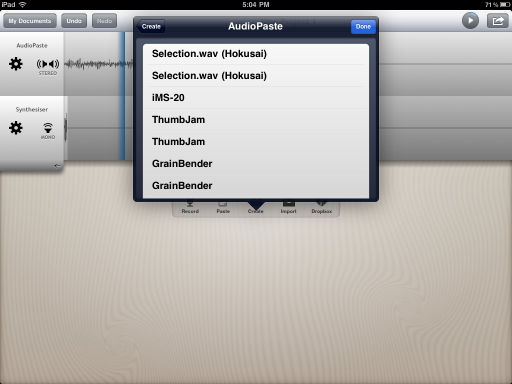 In my opinion Wooji Juice has really hit a home run with Hokusai Audio Editor. 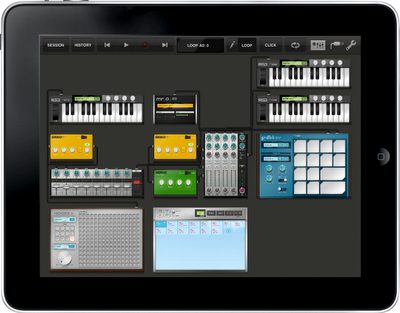 It’s quickly become an integral part of my iOS music studio on my iPad.